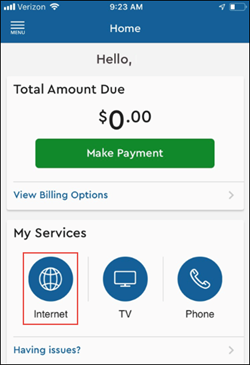 My WiFi eligible primary account holders can now view and manage their Cox in-home network using the Cox Connect app. The app provides primary account holders who have My WiFi-enabled devices the ability to manage their home network from anywhere. To get started, complete the following steps. Sign in to the Cox Connect app. 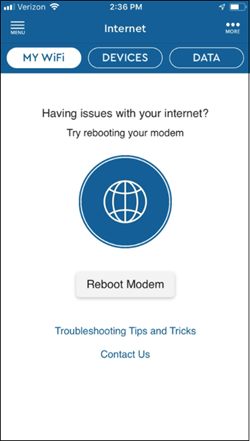 From the Cox Connect Home screen, locate My Services and select Internet. Result: The Internet screen displays with the options to view the My WiFi, Devices, and Data.